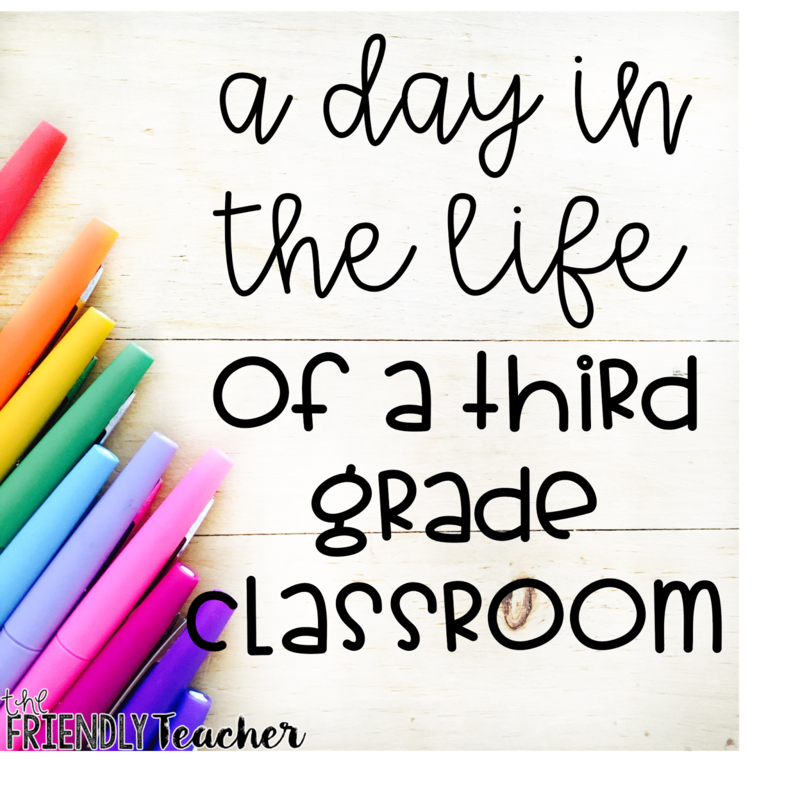 Many times I get asked how I structure my day in third grade! Today I am going to go through a quick overview of how our day is structured! A quick note: Our day does not go perfect everyday, but we work hard to keep this schedule each day! Students start arriving at 8:50. They come in the classroom, put away all their supplies, put their notes in the turn in, mark their lunch on the smart board, and then they start their morning tubs. The Brown Bag Teacher talks about her morning tubs here. I have used this idea, but made it a little more in depth for 3rd grade. The students need to build something that solves a problem each day with the supplies provided (math supplies, popsicle sticks, spaghetti, etc). They then have to explain to the class the problem it solves. I also will put math flash cards, games, or task cards in the tubs when we are working on certain standards. I change out my morning tubs every two weeks. I have 8 tubs so each group of students should be able to visit each tub in the two week period. In our morning meeting we start by going over the schedule for the day and week. My kiddos thrive on knowing what is going on. I love to put surprises throughout the week, but I also make sure to tell them each morning everything they need to know. We then either play a game or do a question. This switches everyday. On the question days someone asks a question and then everyone in the class gets a chance to answer. We play so many different games. Many of the games I found for free here! I LOVE doing my writing in the morning. Students are so focused and relaxed right away in the morning. Usually on Monday I do a whole group lesson with a mentor text. We read the book and talk about the writing structure. Then, throughout the week we go through the writing process or just do creative writing. During this time, I pull kids to my desk to work on their writing one on one or in a small group! You can find my writing with mentor text lessons here! I usually have one focus standard I work on a week, even though we teach many other standards during the week as well. On Monday, we typically do a reading skill lesson. This teaches the kids the standard in a real life context. It is hands-on and engaging and allows students to work with the difficult terms and skills in a real life applicable way. You can find all my lessons here! Then, Tuesdays we typically read our mentor text and do a whole class lesson. Wednesday and Thursdays usually revolve around group work related to the mentor text and standard. On Thursday or Friday we also do a independent activity with the standard! Although my reading block changes regularly I try to stick to this weekly schedule when planning. Monday– I sit down and plan all of my reading plans for the following week. Sometimes I will be a few weeks ahead, but no matter where I am at I plan for a whole week on Monday. If I get extra time I will copy as well! 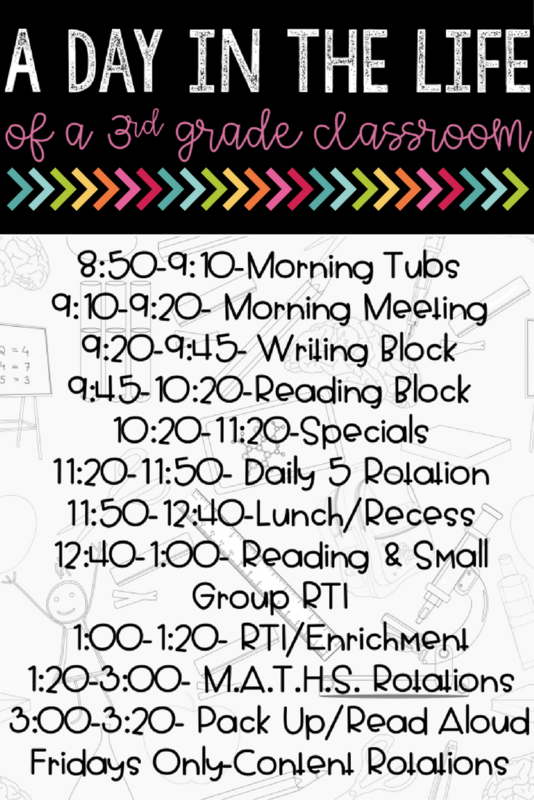 Tuesday– I sit down and plan all of my math plans just like I did my reading! 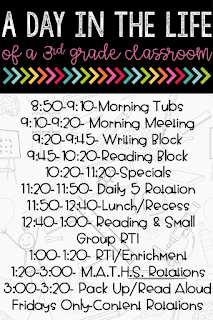 Wednesday– On Wednesday I plan all of my interventions, this includes small group and individual. I copy and prepare everything that I need for these interventions and I update all the files for the kiddos that I have on intervention. If I need to do anything for parent volunteers I do that here too! Thursday– On Thursday I copy anything that needs copied and I grade anything that needs graded. Friday– I prepare everything for the following week. This includes changing center rotations, creating anchor charts, and changing decor. We do one 30 minute daily 5 rotation a day. I have found in my third grade classroom my students worked better doing each rotation once a week, but for an extended time. This is just what works for my classroom! So, I have five groups and I meet with them once a week! My students also do Listening to Reading, Word Work, Work on Writing, and a choice station once a week! During Teacher Time we are typically reading a novel. We will typically spend 10 minutes reading, 10 minutes working on the comprehension skill, and 10 minutes working on word work or other skills needed. Then, I assign them reading and sometimes an assignment for the next week! Another planning time for me! I have found that after recess my students love settling down and reading a book! Each day my students come in from recess, grab the book they are reading, and cuddle up in a comfy place in the room! I grab an one student at a time during this time for a quick intervention! You can see how I structure my one on one interventions here! My students really do love this time and it is a perfect time for them to get calm after recess while reading any book that they love! I pull my RTI group at this time. (we switch between math and reading)! This is also the time that groups would be pulled with other teachers around the school. Any student who is not being pulled at this time will work on enrichment projects! M- Math Facts– This is where my students get on the computer. They use Splash Math, Prodigy, or Xtra Math to practice their facts and old skills. A- At Your Seat– This is where your typical worksheet or workbook activity would go! T- Teacher Time– This is where the group is at my table getting their lesson for the day. H- Hands-On– This is where students play games or work with manipulatives. S- Spiral– I put games or activities from old chapters during this time so they continually practice skills! We end the day with read aloud and it is the best! Students pack up and instead of acting crazy (you know it happens) they just sit quietly and listen to our read aloud while waiting for the bell. I switch with another teacher every other day. So, every other day during this time I can meet with students to catch them up on anything they need caught up on! You can find my favorite read aloud books here! We do not do math on Friday, instead we do content rotations. We have five teachers on our team, so every five weeks we each get a new standard. We mix up all our kids and they stay in a group for five weeks. During that time, they go through all five teachers and get a lesson on five different standards. Then, on the sixth week they take an assessment on all those standards. We do six week rotations all year long and get every standard done! It simply is the best! 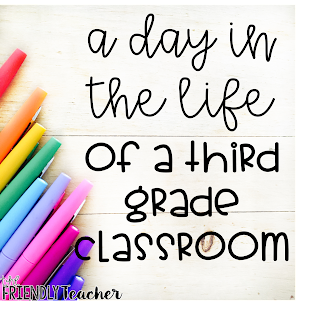 If you have any more questions on how I structure my day please feel free to comment below or email me at thefriendlyteach@gmail.com!